RCBC earned a spot on the President’s Higher Education Community Service Honor Roll for 2015. 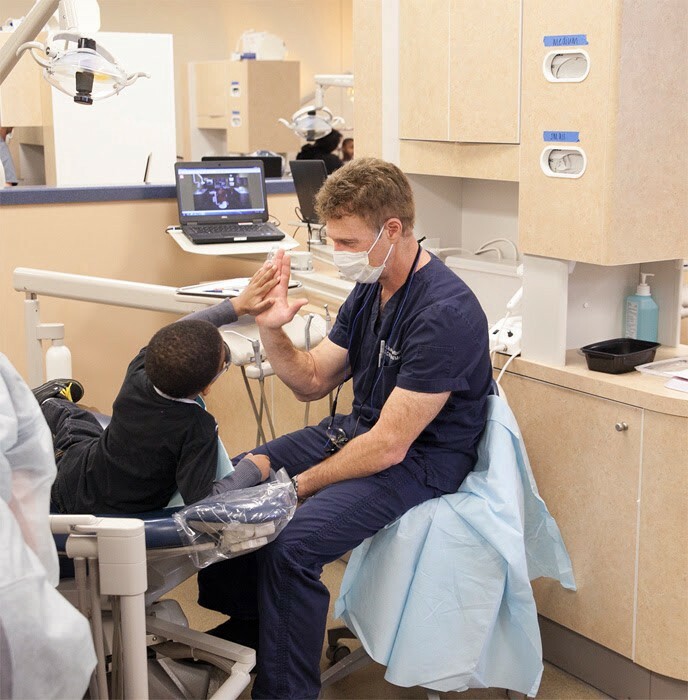 Just one community service provided by the RCBC is the college’s annual “Give Kids a Smile Day” where dental hygiene students and alumni volunteer to provide dental care to kids. Rowan College at Burlington County (RCBC) recently earned a spot on the president’s “Higher Education Community Service Honor Roll” for 2015 for projects such as First Book, Give Kids a Smile Day, and Bridging the Digital Divide. Every year the president of the United States honors colleges that reflect the values of exemplary community service. The list of colleges and universities from across the United States are highlighted to show the role they play in solving community challenges. As a result, students are more likely to pursue a lifelong path of community service, according to the Corporation for National & Community Service. Burlington County Freeholder Mary Ann O’Brien said RCBC transforms lives through education and transforms the county’s communities through community service. “It’s gratifying to see national organizations recognize the great community spirit and service that we all know exists within Burlington County and Rowan College at Burlington County,” O’Brien said. More than 43,000 free books were distributed to schools and organizations throughout New Jersey during First Book. Along with distributing the books, English and service-learning students followed up with recipient organizations to evaluate efficiency and effectiveness in a year-long project. Give Kids a Smile Day is part of the American Dental Association’s annual push to bring attention to tooth decay. Ninety-nine children received a total of 843 dental procedures totaling $47,681 for free. Dental hygiene students and alumni volunteer at this event. Bridging the Digital Divide is a program to help senior citizens improve their digital literacy. More than 35 community members attended this program.